Last Thursday, ZALORAYA2019 Pop Up Event sponsored by Boost gained a huge attention from the public. 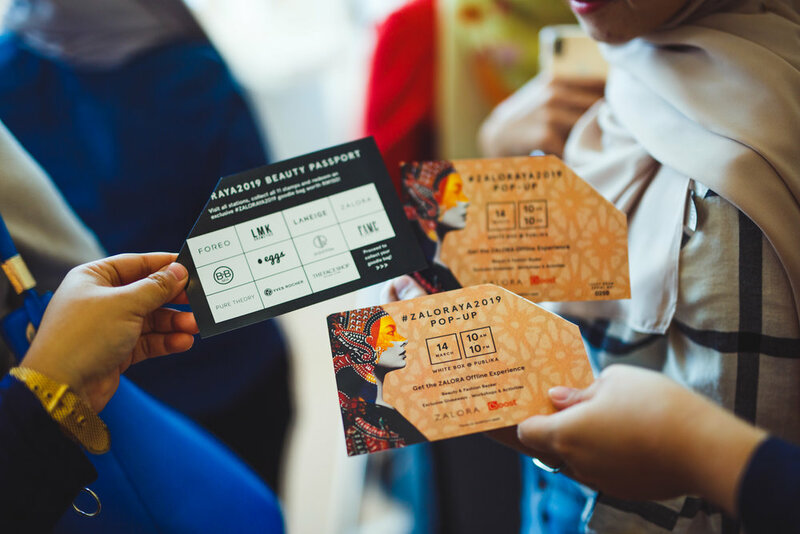 With its first every ZALORAYA Pop Up opened to the public at White Box, Publika, there were various brands that participated in making this event a success. Among the brands that set up their booth during the day were LMK Cosmetics, Laneige, FOREO, The Face Shop, Eggs, Doctox, FAME Cosmetics, Pure Theory, Yves Rocher, B&B Labs, Cluse, Nelissa Hilman, Kami for ZALORA, Bella Pizo and Ms. Read. With all the hype that was happening during the Pop Up Event, you are probably wondering whether they are things that you missed. Read down below as we will be taking you through it all. Guests were also given a goodie bag as soon as they stepped in the White Box. However, they are also given the opportunity to explore each pop-up booth while participating in the beauty passport activity which they stand a chance to get amazing deals. Guests just simply must visit every beauty pop up, participate in the activity every booth has set and complete collecting all the stamps. Everyone knows that ZALORAYA2019 concept is revolved around the ‘wayang kulit’ theme. To portray that theme in the White Box Pop Up area, a ‘wayang kulit’ installation had been set up with white drape sheets and lighting for guests to take their OOTDs with it. The main sponsor this year for ZALORAYA2019 is none other than, BOOST. BOOST also had their own pop up during the day where they can also inform and help guests on the effective way to use their services. Greeting every guest with a smile on their faces, guests were intrigued in getting to know more about what BOOST has to offer with their e-wallet app. 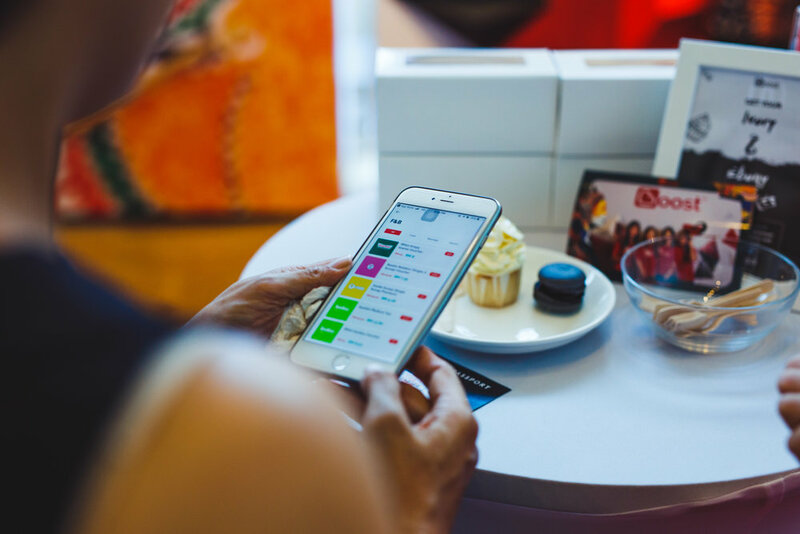 For your information, from 14 March to 30 June 2019, shoppers who spend a minimum of RM250 on ZALORA will receive an extra 25% discount and RM18 cashback when they pay with Boost. Simply checkout with the code ‘BOOSTZALORAYA’—terms & conditions apply. Another thing that you might has missed out on is the live stream viewing which was being shown the big screen inside White Box itself. As the ZALORAYA2019 Fashion held next door in Black Box was exclusive by invitation only, the guests who were interested in catching what goes on can have the experience by viewing it live for each show while exploring the pop up booths in White Box. Amidst the hecticness of the Pop Up Event, there were also lucky draws held throughout the day giving away attractive prizes for lucky guests who participated in the beauty passport experience. For those who are curious on the whole ZALORAYA2019 flow, check out this article ZALORAYA2019 Fashion Show + Popup Event.